Thanks for reaching out to USGBC Florida. This website has been closed. Please visit our new website -- www.usgbcflorida.org. 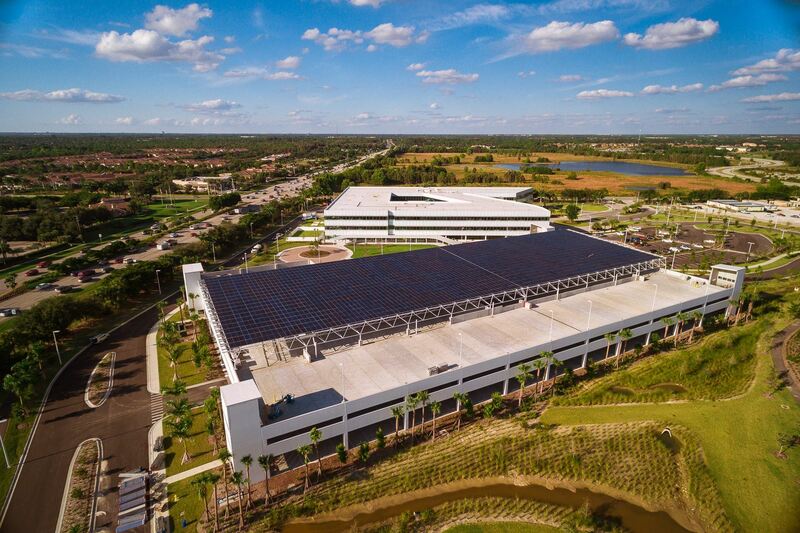 Hertz Global Holdings marked Earth Day in Estero with a celebratory LEED Gold plaque ceremony commemorating the green attributes of its new beautiful, efficient world headquarters. Michael Carlson, USGBC Florida and USGBC Florida Gulf Coast Region Board member, presented the LEED plaque of recognition. 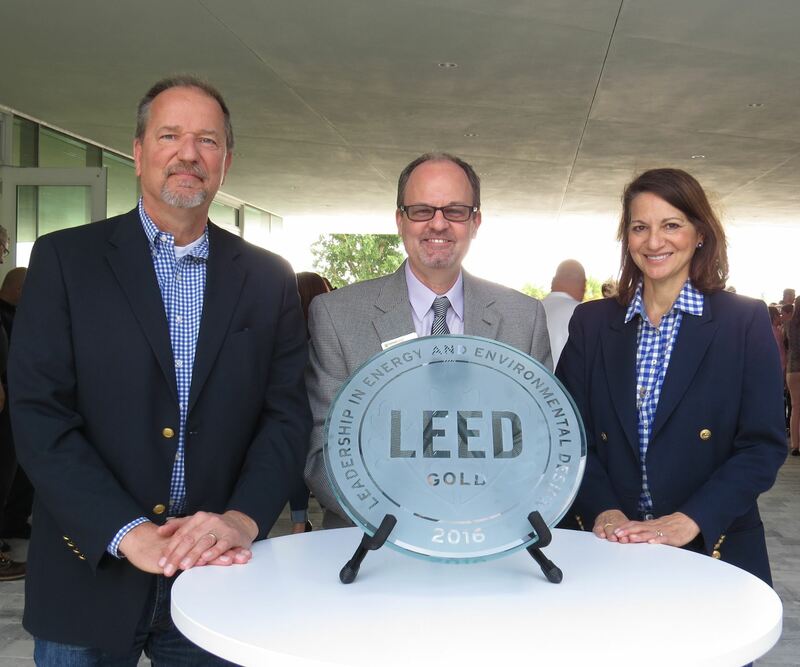 LEED is the most widely recognized and widely used green building program across the globe, certifying 1.5 million sf of building space each day in 135 countries. The 248,600 sf headquarters building spans three floors and serves as a model of sustainable design. The building’s green innovations literally run from top to bottom, with more than 2,300 solar panels on the parking garage roof providing both power and water. The panels provide approximately 15 percent of the headquarters’ total energy consumption, and also serve to channel rain water into cisterns for reuse in the building. Click here to read Hertz's press release. This exclusive program is 100% FREE and it's unbelievably easy to jump aboard and start saving on the green products you already buy! The US Green Building Council Florida Gulf Coast Chapter is a volunteer-governed and a volunteer-driven nonprofit organization. Our volunteer family is our lifeblood. More than 125 green building practitioners, professionals and Chapter members attended the Chapter’s annual awards program, which recognized and honored the outstanding green building projects, forward-thinking businesses, innovative design teams, and instrumental Chapter members who have displayed green building and sustainable development leadership on Florida's Gulf Coast through their practices of the U.S. Green Building Council’s LEED certification -- the leading international third-party green-building rating system. Read the full review and see the list of winners here.